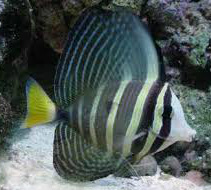 The Sailfin Tang (Zebrasoma veliferum) is a marine reef tang in the fish family Acanthuridae. They are herbivorous fish specializing in filamentous algae. *The picture(s) in the cart are from our store. They look similar in size and appearance to what we are offering. 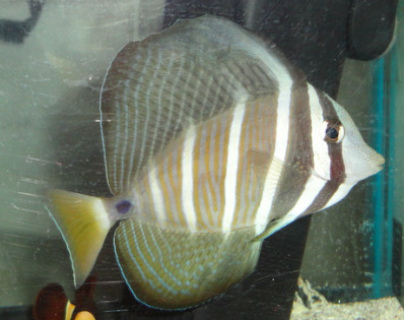 Due to quantities and variations, your fish will most likely look slightly different than the picture(s). This tang has been tang raised in Milwaukee. This sailfin tang has an excellent personality, and is very healthy!